Selected Villas for rent near Bangtao Beach (Phuket) - Contact us now! 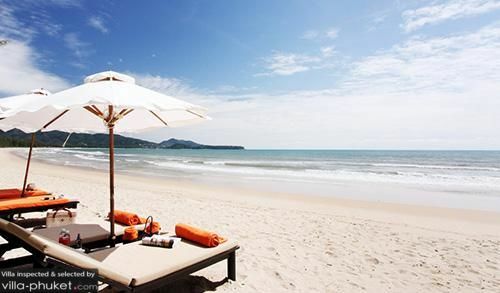 The sprawling Laguna Phuket Resort Complex may occupy a significant spot, but Bangtao’s sweeping coasts still offers plenty of space for families and beach bums to chill out upon its golden sands. Beach-goers will find a wide selection of shopping, dining and entertainment options located at the northern end of the beach, situated close by to where the resort is located at. Avid swimmers are welcome to take a dip in Bangtao’s sparkling waters, but they should keep in mind that swells and undercurrents occur frequently during the rainy season.